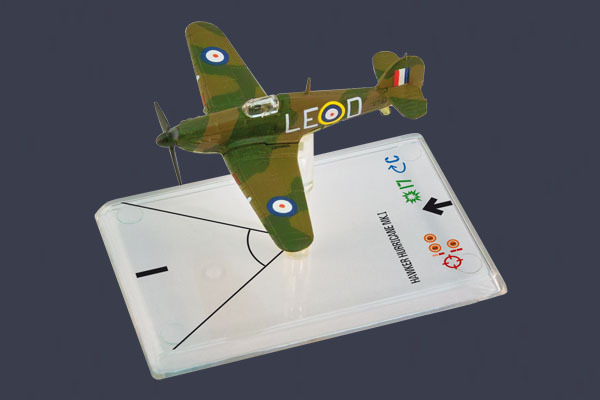 Take your Wings of War game into the third dimension! Each historically-accurate, fully-painted miniature represents an aircraft from Wings of War: The Dawn of World War II. All miniatures come complete with maneuver deck and variable-altitude stand. This British single-seat fighter aircraft earned renown during the Battle of Britain.